The Great Workers’ Party Prata: Have you ever been to a Roti Prata stall and saw the Roti Prata chef flipping the well-oiled dough back and forth? The trick to a good crispy prata is to have flipped and stretch the dough as many times as possible so that it has multiple layers which adds to the fluffiness and crisp. But this analogy could also be used on politics, where politicians flip back and forth on where they stand on issues. So, just yesterday, the Workers’ Party’s Gerald Giam made the news when he commented on the government’s measures on curbing foreign workers. He said that when the government turned off the tap for foreign workers, the sudden policy change had hurt businesses the most. But unfortunately, this caused netizens to be up in arms because Mr Giam and the WP members of parliament had in parliament previously called for zero foreign labour growth during the much debated 2013 Population White Paper debate. Mr Giam had said than that he “did not think there is anything wrong with having zero foreign workforce growth in the next eight years” in the context that the resident workforce growth could reach 1%. Wouldn’t this mean that he was suggesting an immediate stop to the inflow of foreign workers? The government had said then, that doing so would cripple SMEs who were reliant on foreign headcount. But Mr Gerald Giam wasn’t the only opposition MP who squared with the government on the issue of zero foreign manpower growth. WP Chief Low Thia Khiang also crossed swords with Prime Minister Lee Hsien Loong. We had made a calculation at that point in time while debating the Population White Paper and that if you continue to allow the foreign workers to grow it will be untenable in the future population growth and thereby we decided that we need to keep the population number in check and one way of doing it, of course, is to freeze the foreign workers’ growth in numbers. Our calculation was that probably within the existing number of foreign workers, you can still move (them) around in some sectors that don’t need so much of foreign workers thereby you can still get by with the zero foreign workers’ growth. We understand perfectly the possibility and the trade-off. That is our position at that point in time. We have not objected subsequently, or grilled the Government, for why are (they) not doing it because that is our view, that it should have zero (foreign worker) growth, but the Government decided otherwise that is their way of doing it. We have said our piece but we have to respect the decision of the Government to move on. But our message has got across. We cannot sustain continuously the kind of population growth plan the Government is planning and I am glad to hear today that Prime Minister is saying that the Government is taking a very serious view on tightening and watching the growth of population. 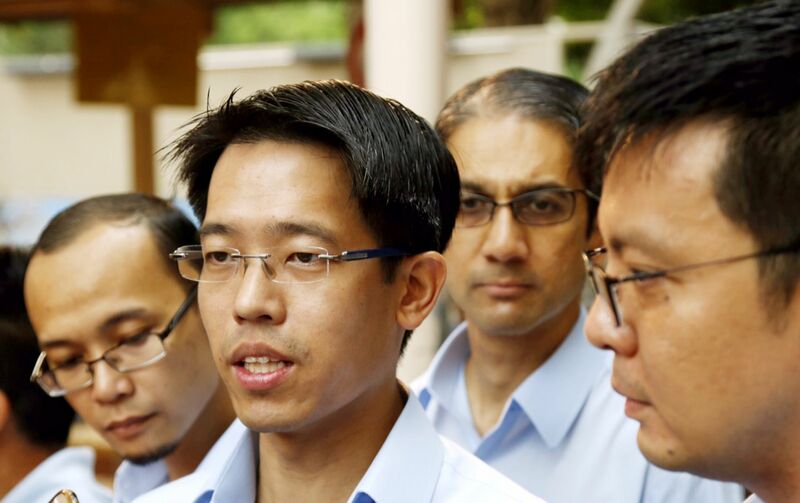 Of course the exchange continued as shown in the video, but ultimately, it showed how inconsistent the Workers’ Party had been in Parliament by flip-flopping (or should I say, Roti Prata-ing…) on their stand. » That DPM Tharman, so hot right now. And is Tambyah doubting Chee?